Homeaccount statementHow to Download ICICI Bank Account Statement Online in PDF Format? ICICI Bank is one of the leading banks in India. If you have current or saving account with ICICI Bank, you must be extremely privileged for its unique banking services! As ICICI Bank doesn't provide a passbook to the account holders, it provides the bank account statement on a quarterly basis or as specified in the form while opening the account. But what if you need the latest bank account statement for some emergency purpose? Visiting the branch is the first option to get the account statement but what if you don't have time to visit the branch? Visiting the branch is a waste of time! You can opt for a simple way to get the updated account statement. Step 1: Turn on your computer or laptop with Internet connectivity. 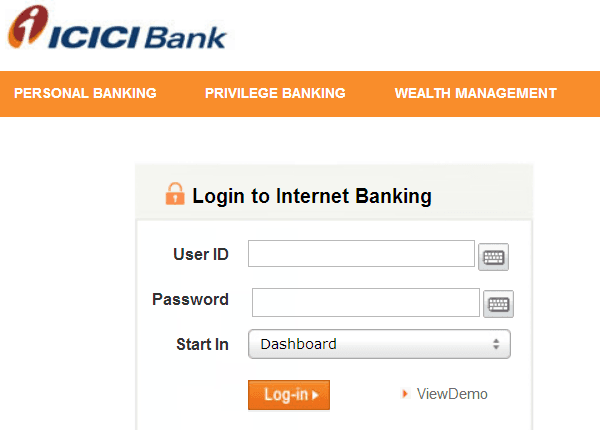 Open the web browser and open the official website of ICICI Bank. Click on login visible in the upper right corner of the homepage. Make sure to go through the Important Notices and click on continue to login. Step 3: On this new page, you will get your bank account details. 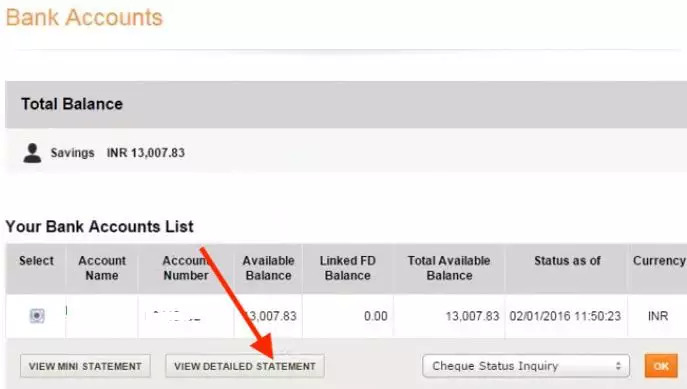 Access the bank Statement section on the MY ACCOUNTS on the top navigation bar. Move the mouse pointer over it, and you will get a drop-down menu. Select BANK ACCOUNTS section located after account summary. Important note: By default, the primary account gets selected but if you have multiple accounts operating with the same User ID choose the account to which you want to download bank Statement. Step 4: In bank accounts section, Next click the 'view detailed statement'. Step 4: The bank provides the bank account Statement from the day of account opening to the current date; you can select the specific period or any specific month for the bank Statement. Choose specific date range and click on 'Get Statement'. Step 5: You will get two formats, i.e., PDF and Microsoft Excel, to download the Statement. Choose the PDF format and click on OK. The account Statement for the specific period as mentioned by you will download and get saved in the Download folder. After successful download, you can print the file and store it for your records or use it for any other purpose. Downloading ICICI Bank account statement online in PDF format is quite easy and helpful. You need not visit the branch and waste your valuable time. If you have lost the account statement provided by the bank, you need not worry. You have the best option to download the account statement from the beginning date to the current date. Make sure to activate ICICI Internet Banking services for the particular account. If you face any problem in login or while downloading account statement, contact your branch and resolve the issue! ICICI bank statement 3 monthly requested. Dear sir, please send bank statement of last 6 months. 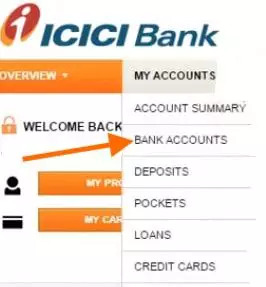 How to get icici bank statement by email? Dear sir, please send bank statement of last 6 monthes. my account no 277701508971. I want my 3 months icici bank statement account number 091301516163. I have icici credit card. I still not received the bill. please send me the bill on my email.